It’s time to get ready for the 23rd running of the Pike’s Peek 10K on Sunday, April 28th! We’re delighted to be returning to Pike & Rose for our finish festival again this year and are working hard to ensure that Montgomery County’s Premier 10K Race is better than ever! After a fun-filled trek down Rockville Pike, plan to hang out and enjoy our finish festival at Pike & Rose! Summer House and Stella Barra will be serving brunch and BurgerFi will be hosting our kid’s runs. As a special treat, the Washington Spirit Soccer Team will be coming out to warm up the kids and lead them in their races! This year’s race will once again be the MD RRCA 10K State Championship. Don’t miss out on your chance to run with the state’s best runners! Be sure to follow Pike’s Peek! 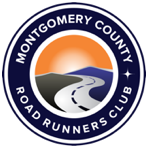 Pike’s Peek, now in it’s 23rd year, is one of Montgomery County Road Runners Club’s premier racing events. The 10k race, known as a PR Course, has runners starting at the Shady Grove Metro Station and finishing on Rose Avenue just south of Montrose Road. Celebrate at the finish area with food, family activities, music & exhibits at the Post-Race Festival hosted by Pike & Rose! The race starts promptly at 7:50 am.